Welcome back! I've decided to do two simple holiday gift guides this year; one affordable guide and one that is a bit more pricey. I want these to be a bit more general so they'd work for at least someone in your life so I want to include a good range. I also wanted to make sure you can get all of these products in Canada. I have reviewed a lot of these products on this blog and YouTube before so I do include a few old photos that aren't as high quality as my most recent posts just so it's not all text. Let's jump right in! Skincare can sometimes be tricky because many people have allergies and the good stuff tends to be expensive. While a lot of my recommendations are high end, I do have one particular brand that I swear by that is incredibly affordable! 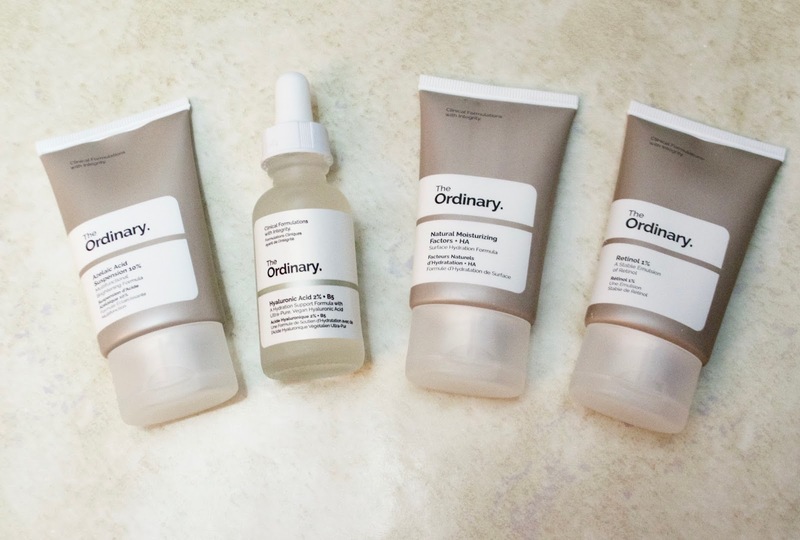 The Ordinary by Deciem is very affordable while also being very good. 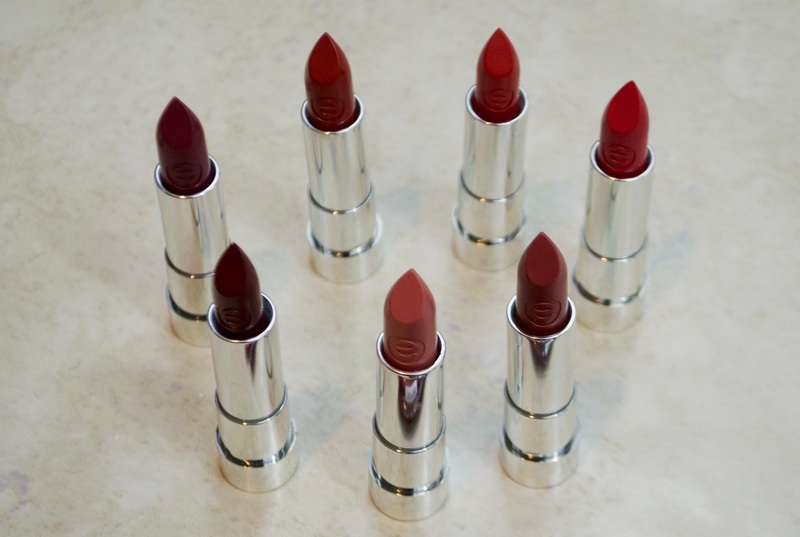 Most of their products range between $5 and $20 so you can't go wrong. They pretty much have something for everyone and even have a "No Brainer" set that seems like a great gift idea for someone that is looking to get into skincare, but doesn't know where to start. If you want to know what I love check out my review on my 'top five favourite products' from The Ordinary (also includes a foundation), and also my first ever review on their skincare. The Dove Men + Care products make wonderful stocking stuffers. They often come in a simple bag as a set for under $15 that makes it easy for travel or if the man (or woman) in your life brings their own supplies to the gym. My fiancé loves getting the sets or individual items from this line in his stocking. I actually use the Sensitive Shield Antiperspirant Stick from this line so you if you're a female or if you know one who sweats a lot like me, definitely check it out! I recommend hitting up Costco because they carry a lot of the products in bulk, but Shoppers Drug Mart and Walmart carry them as well. I'm just going to throw a few into the same category here and talk about body wash and lotions. These always make nice stocking stuffers so I want to mention a few. 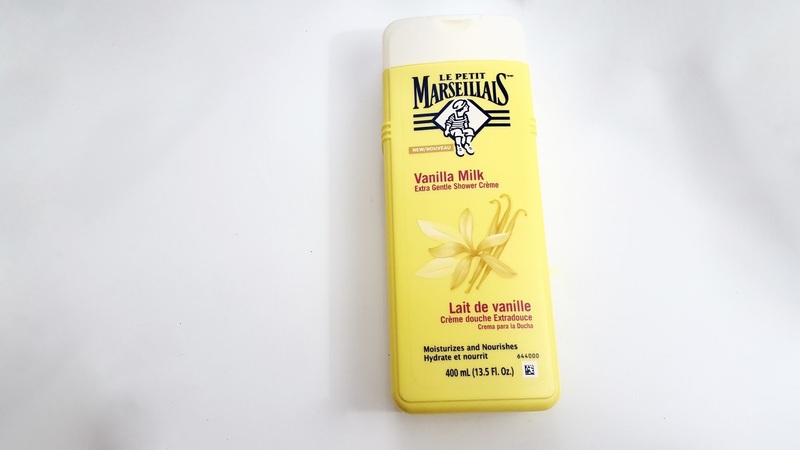 My favourite body wash is the Le Petit Marseillais Body Crème, which you can buy online on Amazon. I have a short review blogpost on the body creme so definitely check that out! I also love Weleda body wash and pretty much all of the products I've ever tried from them (even though they are on the higher end of affordable), but I'll include more in this post. This one is also a bit pricey in the affordable realm at above $20, but the Cetaphil Moisturizing Cream is amazing for pretty much anyone and my dermatologists have recommended that brand again and again since it doesn't irritate my eczema. Excuse this terrible photo from an old blog post! The fun part! If you pay attention to my blog posts and videos, these brands won't come to you as a chock. If you want to get makeup for someone that is good quality, but won't break the bank, check out Wet n Wild and Essence! These are my two favourite drugstore brands. Wet n Wild has amazing eyeshadows, foundation, brushes and powder products in general while Essence makes some of the best mascaras on the market (including my favourites that I've tried so far), amazing lipsticks, cream products and even nail polish! Most products from both of these brands are under $10 so if you search either brand on my blog you will find lots of reviews to help you choose what to buy. To make the guide easier, my favourite items from Essence are: mascaras, highlighters, nail polishes and matte lipsticks. My favourite items from Wet n Wild are eyeshadow palette, highlighter, brushes and nail polishes. I also wanted to give a special shoutout to The Ordinary's serum foundation, Maybelline's Fit Me Concealer, Nyx lip lingerie lipsticks, Physicians Formula's Butter Bronzer, and Milani's baked blush's! Tools aren't something I think much about since I normally put them in with the makeup category or body care. 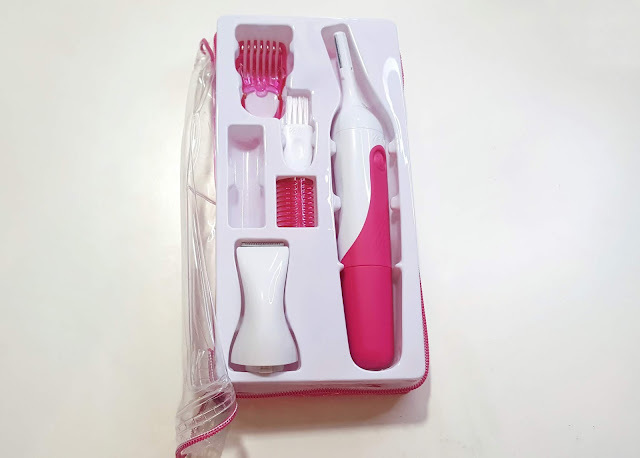 I've mentioned some of my favourite brushes are from Wet n Wild above, but Real Techniques makes some wonderful brushes and sell brush sets for under $30 that are super easily accessible in Canada. Highly recommend if you know someone who is getting into makeup and doesn't own many brushes. The Real Techniques complexion sponge is also good if a beauty blender is out of the price range. The Veet Sensitive Precision Beauty Styler was sent to me a few weeks back for consideration so I've been testing it out since then. I love this thing and I think anyone who does their own eyebrows or trims their body hair will as well. It's so handy and easy to use and comes in a travel friendly case. It's under $30 and even comes with a battery (how rare is that?!) and doesn't only need to be used on women. Steven played around with it on his sideburns and beard and it worked for that as well. This would be a great stocking stuffer, but might also work as a gift! My only advice is if you're trimming your eyebrows, make sure you don't have them filled in. I got to cocky thinking I had more eyebrow hairs than I actually do and went with the shortest setting. I didn't realize it was too short until I took my makeup off and looked crazy so definitely have no makeup on or don't be like me and think you've been gifted by the eyebrow gods when the truth is you just have an average amount of hair there. 2018 has been the first year since I was three years old where I haven't bit all of my nails off. Truth is, I knew I'd be getting engaged soon and wanted to have nice looking nails to match the nice ring (I know it sounds shallow) BUT IT WORKED! Now I have normal looking nails and take care of them way better, so I have actual products to tell you about. For nail care, unfortunately my favourite product is high end so I won't be including it in this post. Instead I'll recommend keeping your hands moisturized. I love the Weleda Almond Soothing Hand Cream for really moisturizing my hands and it smells really nice too so I think anyone would love it! For nail polish I highly recommend Wet n Wild's one step gel polish line, any of the Essence nail polishes. Super affordable and amazing quality! This one is easy. Dry shampoo! My favourite is the Batiste dry shampoo because you can often find them on sale for $8 for the regular size or $12 for the large size (at Winners or Marshalls). You can also find bundle packs at Costco that makes it very affordable. I personally go through a lot of dry shampoo so if you know anyone that uses it, they will be very grateful for some more.